The Dermactin-TS Intensive Skin Care lip conditioning Smart Gloss Lip Plumper is formulated to revitalize mature lips to achieve plump, pouty, voluptuous lips in a shade that's all your own. 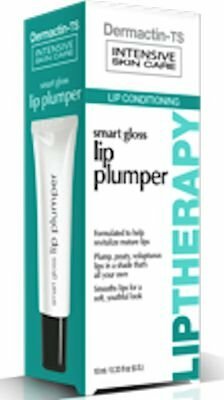 Smart Gloss Lip Plumper smooths lips for a soft, youthful look that works with your skin to provide a natural lip color. If you have any questions about this product by Dermactin, contact us by completing and submitting the form below. If you are looking for a specif part number, please include it with your message.